Stuffstr is a Public Benefit Corporation dedicated to increasing sustainability around the things we buy. Stuffstr's vision is "No Unused Stuff," and we're committed to helping consumers join the global movement toward a circular economy. The average American home has over $7,000 of unused stuff. Over 80% of household items are used less than once a month. The average American throws away 70 lbs. of clothing each year. Ellen Macarthur Foundation feature Stuffstr in their new Ellen MacArthur Foundation/McKinsey report of the use of AI in the circular economy to show an example of how AI is used to support price setting, forecast demand, and to create trading platforms for secondary resources, components and products. Today, adidas announced the launch of its new sports accelerator program “Platform A” at Station F, the world’s largest start-up campus located in Paris. 13 start-ups have been selected to work with adidas on new business initiatives for the sports industry to use the innovative power of the global start-up scene to jointly identify the potential for new strategically important projects. The Guardian covered Stuffstr's partnership with UK retailer John Lewis in a pilot program enabling them to buy back worn and unwanted clothing from their customers in an effort to reduce tonnes of fashion waste going into landfill each year. Stuffstr has been named the winner in the Millennial Shopper category of the Accenture ConsumerTech Awards. The award was announced at the Millennial 20/20 Summit in London on May 4, 2017. The ConsumerTech Awards recognize early-stage innovators that are pushing the boundaries to better engage with the millennial consumer in the automotive, consumer goods and services, retail and travel industries. Stuffstr is a member of the Ellen MacArthur Foundation Circular Economy 100, a global platform bringing together leading companies, emerging innovators, and regions to accelerate the transition to a circular economy. Global partners of the CE100 include Cisco, Google, H&M, Kingfisher, Philips, Renault, and Unilever. Stuffstr has been named the Runner-Up for the BT Award for Circular Economy Digital Disruptor as part of the World Economic Forum’s 2016 Circulars. The Circulars are the world’s premier circular economy award program, recognizing individuals and organizations across the globe that have made a notable contribution to driving circular economy principles. The Digital Disruptor Award recognizes an organization or public sector program that is disrupting business as usual by using digital technologies to enable the circular economy. Stuffstr was also a Finalist for the Young Global Leaders Award for Circular Economy Entrepreneur. Stuffstr received the 2015 Target Award at the Sustainable Brands innovation Open. The Innovation Open connects global brand sustainability goals with startup products and solutions. 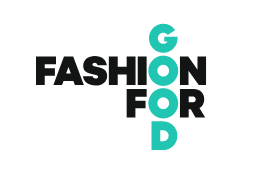 Sustainable Brands wants to catalyze the progress and impact of the next generation of better brands by featuring the startups who, given the right support and exposure, can contribute to a flourishing future economically, socially and environmentally. Stuffstr was a finalist in the Reuse + Recycle category for the SXSW Eco Startup Showcase which took place Oct 5-7, 2015 in Austin, Texas. The Startup Showcase is a rapid-fire pitch competition spotlighting innovative early stage companies in the areas of Energy, Internet of Things + Software, Reuse + Recycling, Social Impact, Supply Chain + Product Innovation, Water and International Innovations. Finalists in these categories were selected out of a pool of hundreds of applicants from around the world. In the past three years, participating companies have gone on to raise close to $40M in funding and acquire global brands as clients.